I am soaking wet when my friend Doreen knocks on the door of a solitary house at the top of a steep trail in rural southwest Turkey. A woman with olive skin and hazel eyes wearing a headscarf answers the door. “We’re lost!” Doreen bursts out. “Lykia Yolu nerede?” I pipe up in pigeon Turkish. 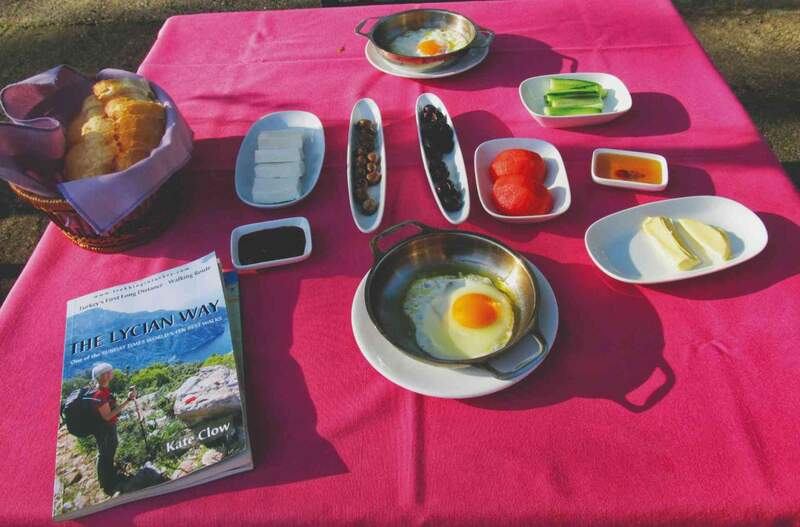 Where’s the Lycian Way? The woman stares blankly at us for a moment before gesturing inside with her hand. “Çay?” she offers, smiling warmly. Moments later we are seated on floor mats in the modest home of Çetin and her husband Birol, warming ourselves beside their electric space heater. Çetin serves tea in traditional tulip-shaped glasses, and retreats to the kitchen with her two young sons. I hear grease sizzling, and when I peak around the corner a little later she is squatting in front of a wood-fire oven, kneading dough. Doreen and I get out our map and with the help of Birol and much hand-gesturing, discover we are in the village of Okcuoldugo, not Karadere (it would help if we could pronounce the name of the place we were trying to get to!). Çetin reappears, carrying a platter of fried bread, along with fresh olives, goat cheese and honey. We feast together while Doreen and I stretch our limited Turkish vocabulary. “Harika!” Very good, we exclaim gratefully, and it truly is. An hour later, with full bellies and a new sense of direction, we shake hands with our generous hosts and try to communicate our intention to send photos of our visit. We shoulder our heavy packs and walk away with a little more bounce in our step. “That just made my trip,” Doreen says, looking at me with shining eyes. Breakfast! The author reads “The Lycian Way” by Kate Chow. The moment I saw photos of the Lycian Way on the trail’s official website and read that Britain’s Sunday Times called it one of the world’s 10 best walks, I wanted to do it—all 509 kilometres! Adventure: check. Nature: check. Culture: check, check. Plus, it seemed reasonable enough to do alone, even as a female. Then, to my delight, Doreen McGillis, a friend and former colleague, decided to join me a few weeks before the trip. Like me, she was wooed by the idea of exploring Turkey on foot. Although the Lycian Way is named for an ancient coastal culture in what is now southwestern Turkey, the trail itself is relatively new. Opened in 1999, it was conceived designed and really achieved by British expat Kate Clow, who moved to Turkey in 1989 to work in the computer industry. 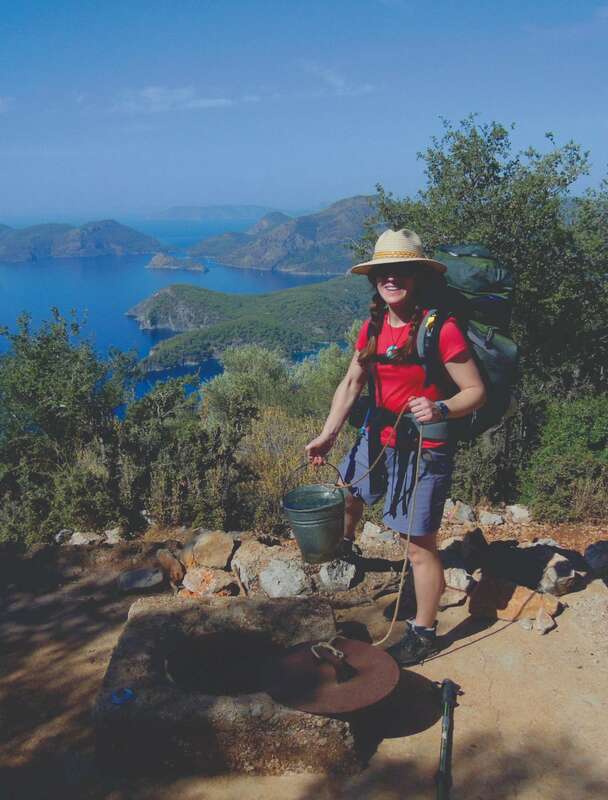 Not only did Clow spearhead the project to physically clear and create the trail that connects ancient pathways, mule trails and roads, she wrote the definitive Lycian Way guidebook, now in its 3rd edition. She has since left the IT industry, has helped develop other long-distance trails in Turkey, and is notable for the speaking engagements she does at travel fairs around the world. The route takes in amazing Roman ruins. 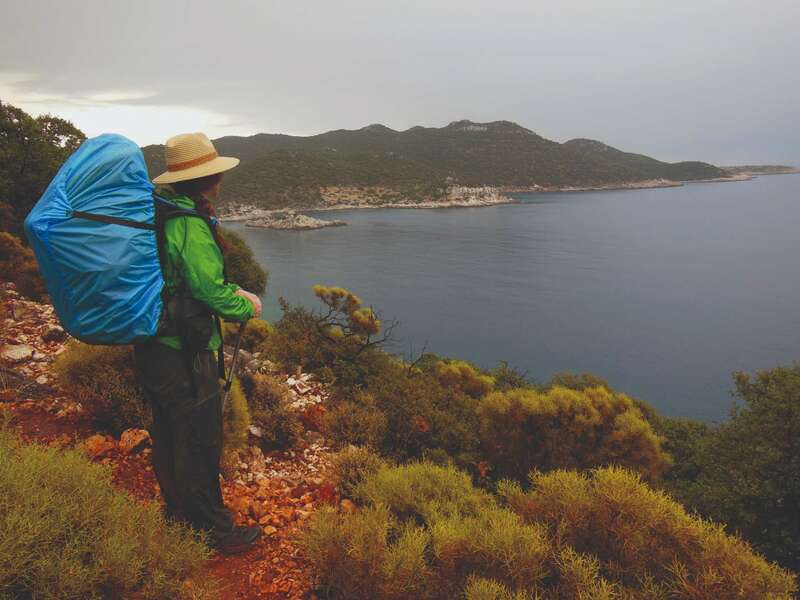 While the Lycian Way holds bragging rights as being Turkey’s first long-distance footpath, it might simply be the most fascinating way to experience the country. Off the typical tourist track, the trail offers unique opportunities to interact with Turks in a rural setting, as well as walk in the footsteps of an ancient civilization that dates back an astounding 5,000 years. Long before the region of southwest Turkey between the cities of Fethiye and Antalya became known as the Teke Peninsula, it was Lycia, home to a prosperous and fiercely independent culture. Archaeological remains indicate Lycia was settled in the third millennia BC. A matrilineal society that later became famous for having the first known democratic union of independent city states, Lycia maintained a distinct language, culture and artistic style for thousands of years, withstanding pressures from the East and the West. 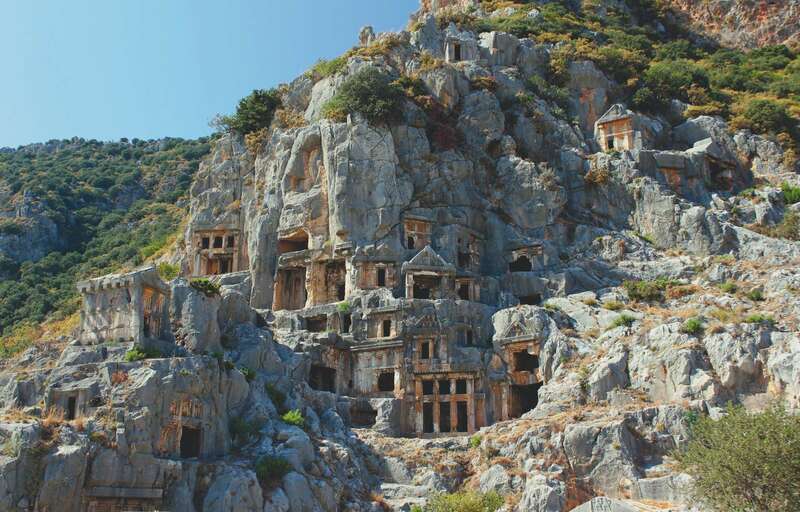 Stunning remains of ancient carved-out mountain dwellings along the Lycian path. Lycia did not adopt the Greek language until the third century BC, and managed to resist becoming a province of the Roman Empire until about 43 AD. In the years that followed, the civilization ultimately crumbled after earthquakes, plagues and wars took their toll on its cities and people. By the fourth century AD, many Lycian cities had been taken over or reconstructed by the Byzantines. The Lycian Way pays tribute to this fascinating history. Many ruins, like those at Aperlae, an overgrown city with close to a hundred tombs, are found along remote areas of the trail, making them perfect for private exploration. Other larger sites, like Letoon, Patara and Olympos, have been partially restored and are popularly visited; some are UNESCO World Heritage sites. The trail climbs steeply up a dry rocky slope past a couple of shepherd’s huts, and we take short breaks in little patches of shade provided by pine trees. Soon enough, our hard work is rewarded with our first view of the turquoise-coloured Mediterranean Sea hundreds of metres below. 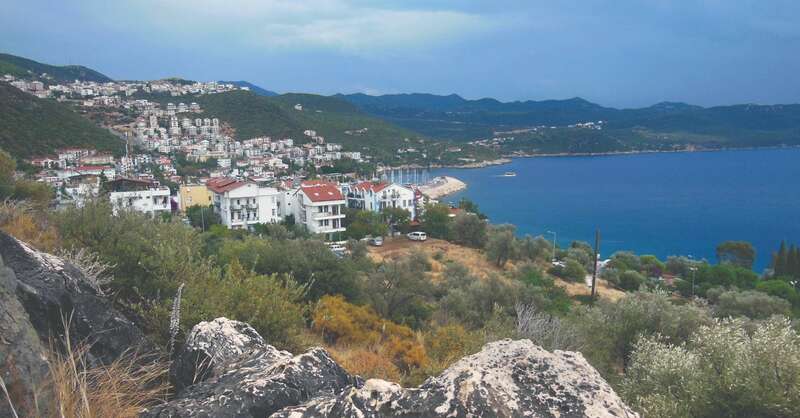 Though the Lycian Way is predominately a coastal hike, it’s not just about the beach view. The scenery varies between beautiful sandy beaches and rocky rugged coves, to cliff-top escarpments and 1,800-metre-high mountain passes, to pine and eucalyptus and strawberry tree forests. There are also countless farmers’ fields and olive groves to navigate, as well as many lovely rural villages to explore. The route ropes around ancient cliffside villages on Turkey’s southern coast. A few hours later, Doreen and I top up our water bottles at a pretty cistern outside of a village comprised of about a dozen or so houses tucked into the shadow of a massive rock face. 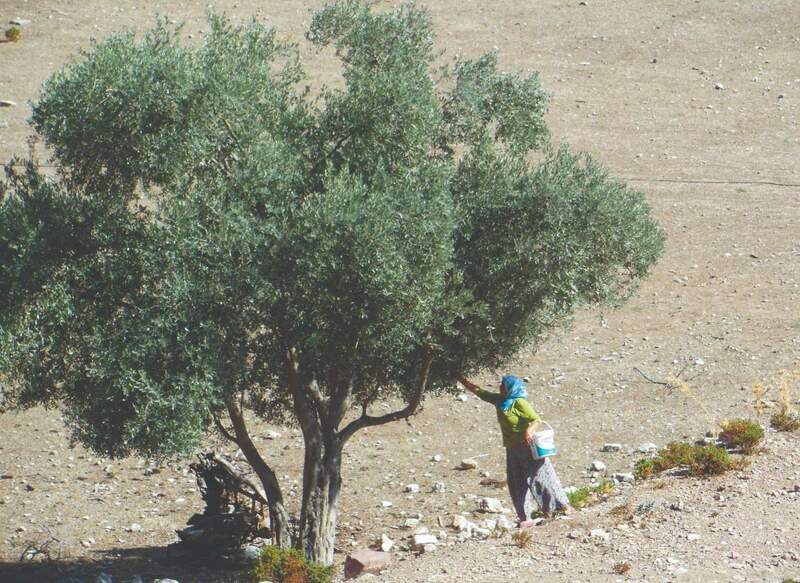 A woman, dressed rural-style in a headscarf, long shirt and loose flowing pants, picks olives from a tree in the field below. I tolerate the swarms of bees buzzing around me in exchange for the pleasure of holding my hands under the cool spring water. We saw clusters of bee boxes between stonewalled terraces this morning, and now understand why the honey we had for breakfast was so delicious. Suddenly, I hear English-speaking voices approaching. A group of eight Aussies in their late fifties march up behind us, Clow’s map and guidebook in hand. They are doing a 15-day trek, they tell us, though their backpacks are suspiciously small. Aha! They have hired a tour operator to arrange all their accommodations and to transport their luggage. Why didn’t we think of that? I can imagine Doreen’s thought process as she shifts her 45-litre backpack. We are carrying about 12 kilograms each; everything from warm layers and toiletries to bathing suits and energy bars. Doreen will only have 10 days to explore the trail compared to my four weeks, so I am also carrying camping gear. Fetching water from a nearby well to make camp, with the spectacular winding coast in background. Flexibility is one of the great advantages of a Lycian Way hiking vacation. Bus service in Turkey is excellent, allowing easy hop on/hop off access in many spots along it, and there are many companies offering luggage transport and guiding services. Accommodations along the trail range from beachfront campsites to luxury villas and small, family-run pansiyons, or guesthouses, the latter which often serve the best meals, straight from the garden. 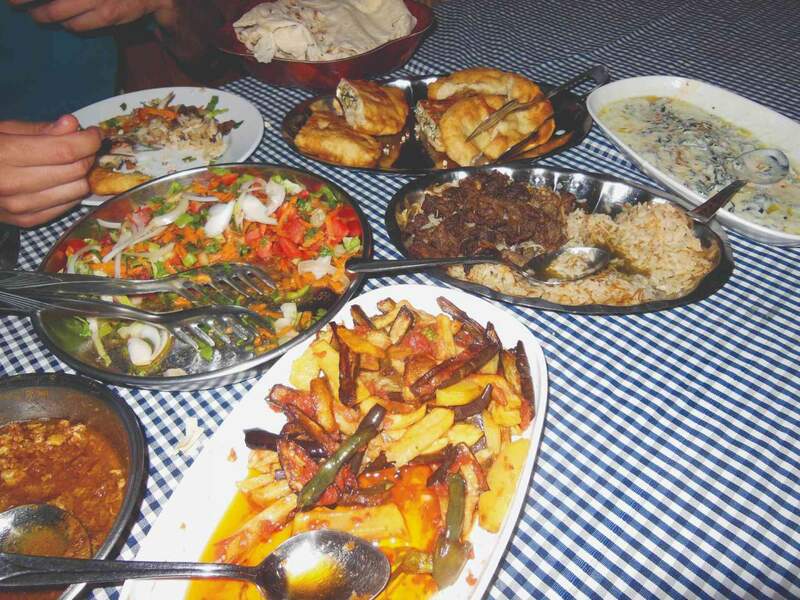 Guesthouses, and even campsites, usually include breakfast and sometimes dinner in their rates. We quickly lose the Aussies, climbing a wide gravel path, a tractor road, according to Clow. After reaching the top of a bluff, the trail narrows and descends, weaving between small houses adorned by a cornucopia of orange and pomegranate trees, tomato and pepper plants, brightly coloured flowers and vine-covered archways. My stomach is rumbling as we enter Faralya, a picturesque village perched on a breathtaking and perilous escarpment roughly 400 metres above the sea. Like many villages we will encounter along route, Faralya has a mosque, a handful of houses, a small shop selling mostly junk food and half a dozen guesthouses. It’s after peak season however, and the village is pleasantly devoid of other travellers. After a dip in the pool at our immaculate guesthouse, Doreen and I raise our first bottles of Efes, Turkey’s unofficial national beer. Day one in the footsteps of the ancient Lycians is celebrated with a healthy swig. On day three, we are nearly destroyed by the unseasonably hot temperatures. We leave Kabak Beach and “Mamma’s Guesthouse” in the morning, and quickly gain 760 metres hairpin climbing through a pretty, shaded ravine that is full of carob trees, to arrive at the village of Alinca. Now, however, we’re faced with covering another 10 kilometres across a scrubby south-facing slope with little shade. And although the sea views are nice, we’d have to jump off a cliff to truly enjoy the water! Five minutes down the trail, Doreen stops and turns to me. “Let’s get a taxi,” she says. I’m opposed to the idea, but the look on her face tells me I’d do well to compromise in the situation. 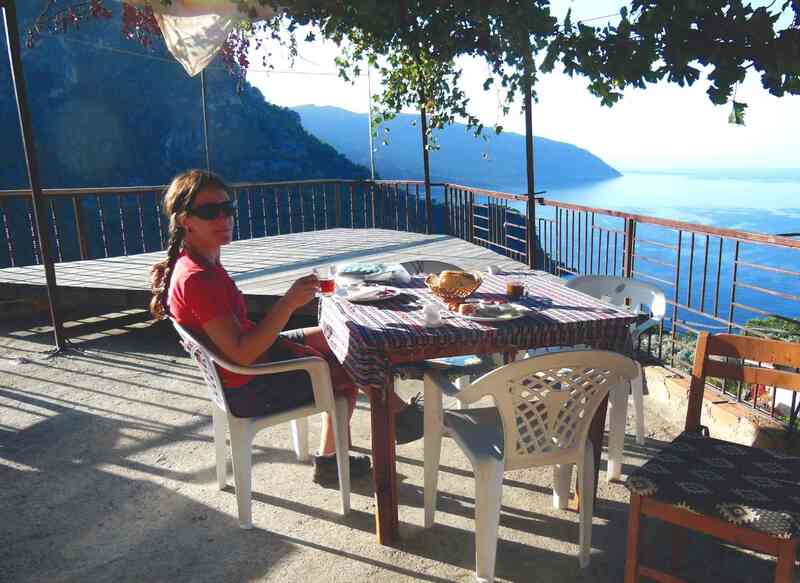 Local guesthouses, with exceptionally friendly locals, dot the Lycian Way. None of Alinca’s 10 villagers drives a taxi, nor do any cars pass us when we return to the dusty road. But we somehow communicate our wishes to a woman hanging laundry in her yard, and she makes a few calls on our behalf. Twenty minutes later a young man shows up in a beige-coloured beater, more than happy to take some lira off us. I believe we are grossly overcharged for the 15-minute drive, but Doreen is grinning ear to ear. “That’s the best money I’ve ever spent,” she exclaims, peering out the window at the scenery whizzing by. Thus we arrive at our next stop Gey, a traditional Shiite Muslim community, a few hours earlier than planned. This gives us time to shower and drink a cold Efes, before taking a late afternoon walk along a breathtaking escarpment called Cape Seven Noses. We stroll through an olive grove that’s deserted, save for a handful of goats, and take in a magnificent pink sunset over the Greek island of Rhodes. The taxi ordeal is long forgotten, and we linger a few minutes more before hastening back to our guesthouse for dinner, passing what appears to be three generations of one family returning from a day working in the field. “I’m having a food-gasm!” I whisper to Doreen a short while later, as I devour the evening’s fare: tomato salad, bean soup, a savoury meat dish, and three dishes piled high with perfectly cooked eggplant, peppers and squash, plus tzatziki sauce, boreigi (pastries stuffed with spinach and cheese), bread and ayran, a Turkish yogurt drink. We eat at a common table with other guests: a Turkish law student from Ankara doing a five-day section of the trail with her father, and Mikele, a 30-year-old Swiss fellow checking out a small section of the trail during his two-week vacation. He’s going in our direction, and we spend the next two days leapfrogging him on the trail. Local food options along the footpath: reason enough to do it! The three of us arrive at the overgrown naval base of Pydnai together and tour the exterior stone wall of the ruins, before popping out of the forest next to a creek and beach-side restaurant. Doreen and I take a short bus ride (cheating again!) to Letoon, a Lycian site dedicated to Leto, Artemis and the sun god Apollo, dating to the sixth century BC. One of the site’s most important finds was a trilingual stele with Lycian, Greek and Aramaic languages on it, which helped linguists decipher the Lycian language. Nearby is the ancient Lycian capital of Xanthos, the scene of a gruesome battle with the Persians in the fifth century BC, in which most of the population perished. Retreating from the siege, the Lycians slaughtered their own women and children while the men fought to their death. Speaking of violence, Doreen and I experience our first thunderstorm from the safety of our guesthouse in Patara that night. Patara is yet another ancient Lycian stronghold in the process of being restored by archaeologists. Keen to get hiking the next day, we do a quick tour of the ruins that doesn’t do them justice, before crossing a road, climbing a hill and getting caught in a maze of dense, prickly bushes. For over an hour, Clow’s rather ambiguous directions lead us along fruitless goat trails. Suddenly, I am surprised to see a man standing across the grove from us, a book in his hand. The book is Clow’s guidebook we discover, when we come face to face moments later. Josh doesn’t admit he is lost, but is clearly frustrated by the confusing directions and lack of trail markers in this section. Most of the Lycian Way is very diligently—sometimes too diligently—marked with red and white painted “way marks” on trees and rocks along route, as well as green and yellow mileage signs at road intersections. But there are a handful of areas where the trail is unclear and the signage in need of refreshment. And while I cursed Clow’s directions more than a few times, I’ll admit that maintaining 509 kilometres of trail over public and private lands can’t be easy. Thinking I might be charmed by this handsome American man with a Hemingway tattoo on his arm, Doreen suggests the three of us drown our sorrows over a beer back in Patara. Over savoury gözlemes (deliciously stuffed flatbread), Josh tells us about his job teaching English at a university in Istanbul. The he drops the girlfriend bomb. “Well, I think it’s time to go,” Doreen announces a few minutes later. We wish Josh good luck and head to the bus stop. Arriving in touristy Kaş after a week of rural hiking is a shock to the system, albeit a pleasant one. Harbour-front restaurants, shops and hotels abound in this picturesque city, and we spend a day perusing jewellery shops and checking out the fifth-century-BC Lycian rock tombs carved into the limestone cliffs above town. More than 1,000 still-intact, skillfully carved tombs are scattered throughout the Teke Peninsula and are historically significant because they predate Greek influence. The tombs are large, as they were generally meant for more than one family member, and were built at a time when ancestry worship was common. The same day we are sheltered by Cetin and Birol in Okcuoldugo, we arrive in tiny Boğazcik, our evening’s destination. It’s the eve of Kurban Bayrami, or Feast of the Sacrifice, one of the most important holidays for Muslims, whereby goats and sheep are slaughtered and shared with the poor. We’re hoping our untimely arrival won’t be a problem—there’s only one guesthouse in Boğazcik, and dark clouds are looming overhead. Turkish hospitality shines again, and Ali’s Guesthouse welcomes us with open arms. We feast on the floor around circular trays with Ali, his wife Camille and their two sons, and daughter-law, Oznur, who speaks some English. We trade questions back and forth via Oznur, and it’s almost midnight when we politely bid goodnight, escaping lighthearted jokes about me marrying Hussein, Camille and Ali’s startlingly blue-eyed younger son. Doreen looks out at the spectacular view from the footpath. Camille follows us up to our bedroom and makes up our mattresses on the floor, each with two heavy blankets. It doesn’t matter that there’s no hot water to bathe with; I crawl under the covers and pass out to the sound of the rain beating down outside. Doreen and I move quickly the next morning, hoping to avoid involvement in the slaughter, interesting as it sounds. Camille tucks candies in our hands as we hug her and Oznur goodbye, and slip out the front door. I can’t resist sneaking a glance at the group of men standing around a skinned carcass that is hanging from a tree. “Iyi Kurban Bayrami!” I call out merrily, as we scurry out the gate. The sun is out again and Doreen and I have lunch beside the crumbling ruins at Aperlae, an ancient maritime city overlooking a pristine cove with huge rock-carved sarcophagi that are half-submerged at the water’s edge. We are alone, but there is a small house nearby, accessible by boat only. I lie back and close my eyes while Doreen takes a dip in the crystal blue water. Suddenly, I’m jolted from my slumber by a squeal from Doreen, who is about a hundred metres away. “There’s a giant sea turtle in the water!” she exclaims laughing. The next day we hang up our hiking boots and float in kayaks over Kekova, a Lycian city sunk by an earthquake in the second century AD. The now so-called sunken city is a protected area and popular spot for guided kayaking trips. Although looking at ruins underwater sounds more interesting than it is, the kayaking itself is fantastic, and a nice change. Üҫağiz the jumping off point for these trips, is a picturesque harbour perfect for sitting back and enjoying a good seafood meal. All too soon, Doreen boards the bus to Antalya with newly purchased Turkish carpet in hand, and I am left to my own company, for better or worse. It’s another hot day and the hose for the water bladder I carry in my backpack that allows me to hike and drink simultaneously is out of reach. Lacking Doreen to hand it to me, I hike on through the dry heat, eager to reach the beachfront campsite at Andriake Bay for my first night of camping. The last kilometre before the campsite crosses a long sandy bay, but I’m unable to enjoy it because my head is pounding and my stomach feels uneasy. Heatstroke takes me off the trail for three days. I ride the bus past one of the more remote and challenging sections of the trail because I’m too weak to hike and too impatient to wait—I feel the need to keep moving, one way or another. I spend a night at a friendly homestay in Finike, and then hop on another bus to skip a 30-kilometre stretch of trail along a developed beachfront area beside the main coastal highway. Back on the trail and wanting to take full advantage of the freedom of travelling with a tent, I random-camp on an empty cove close to the village of Karaöz. The beach is road-accessible, but my tent is well hidden among leafy hardwood trees. My ears prick up at 11 p.m., when I hear the sound of a vehicle approaching, that tragically results in a Volkswagen van parking between my tent and my perfect view. I get up early and walk along the road into Karaöz, looking for a shop where I can buy the usual lunch provisions: a baguette, cheese and a tomato or pepper, if I’m lucky. Given the variety of vegetables grown in the area, it’s surprisingly difficult to find fresh items at village shops. I buy extra cookies instead. Following the route upward along rocky mountainous terrain. Exiting the shop, I see a spindly fellow in hiking boots with a large, lopsided backpack at his feet. Thus I meet Karl, a kind and quirky physics teacher from Sweden, who, I soon notice, says “oopy” each time he lifts his pack. After a few days on my own, I’m happy for company and am quite sure he is, too. We pass the scenic and much photographed Cape Gelidonya Lighthouse, and many exhausting hours later arrive in seaside Adrasan at dusk. We contemplated camping en route but were happy to reach the comforts of this touristy town. The first guesthouse we get to, a quirky place called Jungle Bells, offers both camping and accommodations, making us both happy. After a delicious homecooked dinner, I crawl into my tent and pass out. Another long day takes us more than eight kilometres—where we nap in a grassy meadow next to a shepherd’s hut along the way—and then down to sea level at Olympos. 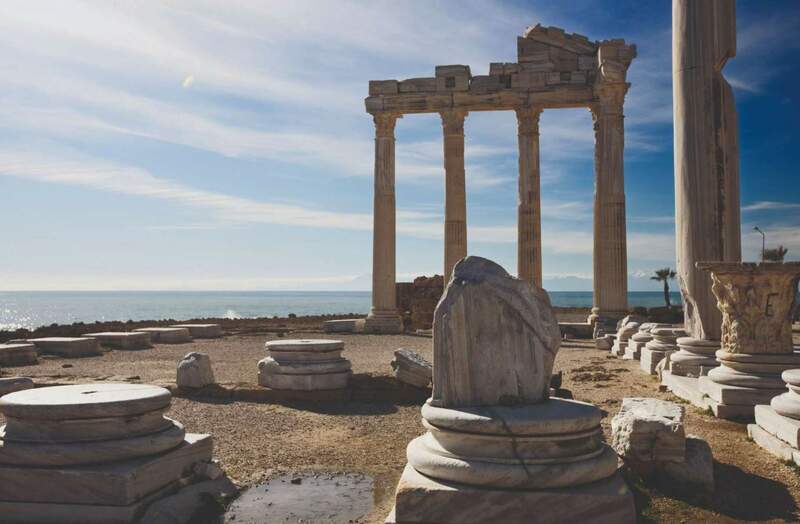 Once a major political city prior to Lycia’s decline, the Olympos ruins and the adjacent city of Cirali are now a popular beach resort, and rightly so. The ruins are vast and well-preserved, the beach is perfect, the vibe is laidback. Karl’s vacation ends here (and with him sprinting madly to catch the last bus to Antalya), but over a typical Turkish breakfast of olives, cheese, tomatoes, baguette, hardboiled egg and black tea (included in the price of my beachfront campsite), I meet Anna-Ruby, a young American keen to do some trekking. After an afternoon exploring the ruins together, she opts to join me for my next five-day leg. Luckily, I have a two-person tent, and she has a sense of adventure. We head inland, stopping briefly in the scorching heat to roast marshmallows in the eternal flames of Chimera, a rocky slope where natural methane gas seepages cause flames to burn through cracks in the bedrock. Then we pass the fish farms and restaurants of Ulupinar, where we lose the trail temporarily and end up walking a few extra few kilometres on the highway to catch it again. “No thank you, we already have some,” I explain to the family who insists we take the huge red pomegranates offered in their outstretched hands as we pass their orchard. But they really insist, and now Anna-Ruby and I, fatigued from our detour, are laden with two heavy fruits each for the steep climb to Tahtali, Mount Olympos, at 2,365 metres. The author overlooking the Mediterranean with tea in hand. We camp at a beautiful forested pass below the ridgeline and make our ascent at dawn the next day, celebrating the summit with the “emergency” Swedish chocolate Karl left me. Up the coast to the west I see Finike, a city famous for its oranges, and to the east, the sprawl of Antalya, my final destination. 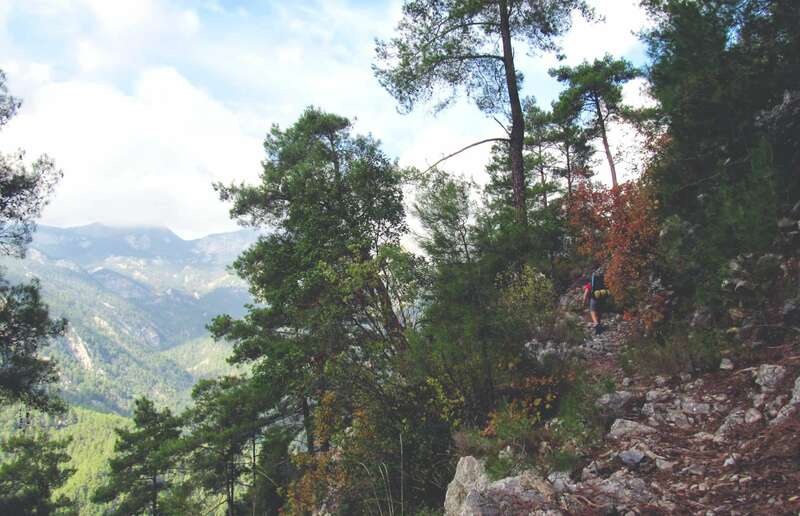 Although there are numerous highlights along the Lycian Way, climbing Tahtali, the highest point on the trail, is near the top. Eating juicy pomegranates on the way down is pretty good, too. 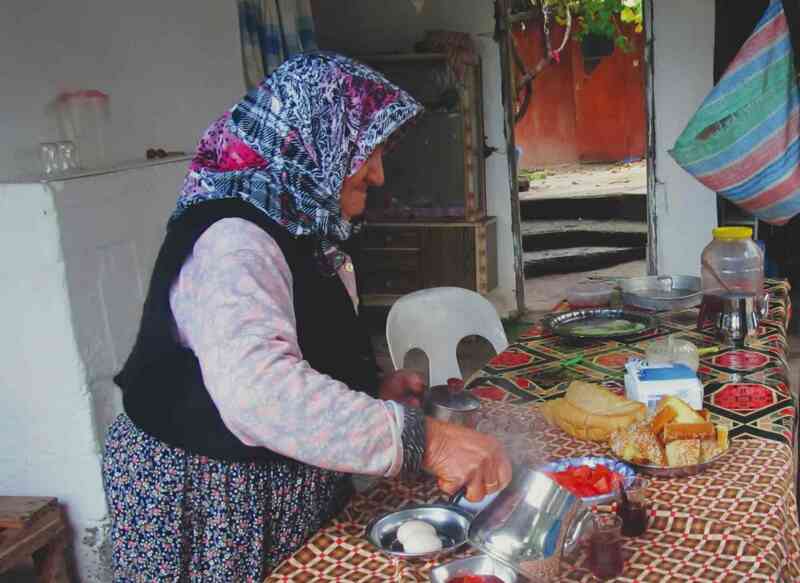 “I don’t need a Turkish husband, I just need a Turkish mom,” Anna-Ruby states matter-of-factly the next day, after yet another delightful homestay experience in the mountain village of Yayla Kuzdere. Fresh cornbread from our host Ayşe is packed safely in our bags as we begin the two-day descent to sea level, where we will go our separate ways. Based on the guestbook entries we read, Ayşe has been lodging hikers with her husband Mehmet since before the trail’s inception. Sadly, Mehmet passed away recently, and it seems unclear if Ayşe will continue hosting much longer on her own. I certainly enjoyed her warmth and zest—the way she threw our bedroom door open at 7 a.m. and yelled what must have been “wake-up!” in Turkish—and her amazing cooking, but I could see a lot of sorrow in her eyes. When Anna-Ruby and I part, it’s early November and only 20 kilometres of the Lycian Way remain. Though it’s always hard to part company, it somehow seems fitting that after three weeks of hiking with different partners, I will hike the final stretch alone. It’s not yet 9 a.m. when I scramble onto Hudacik Ridge and pause, welcoming the sensation of cool air on my face. Last night I camped alone on a scenic pass, which I later discovered is a solitary pilgrim’s grave, and now, conquering the last obstacle of the trail all alone in the wilds of Turkey, I feel jubilant. Suddenly, a faint tinkling sound breaks my reverie. Looking down, I see a group of goats gingerly crossing the steep hillside below. And where there are goats, herders are never far behind! I have mixed feelings as I descend through the forest and down a country road to the kilometre-509 signpost in Hisarcandir. For four weeks, life on the trail has been deliciously simple, each day an adventure of its own. It doesn’t matter that I skipped a few kilometres along the way; I still feel a sense of accomplishment—and melancholy—to be finished. I walk to the road and stick out my thumb; it’s 25 kilometres to Antalya, population one million. In true Turkish style, I’m picked up by the first car that has room for me. Despite my protests, the friendly Turkish woman insists on driving me across the city to the doorstep of my destination. “Allahaismarladik!” Grabbing my backpack from the trunk, I say my final goodbye of the journey. “Güle güle,” she replies. Be on your way with a smile.